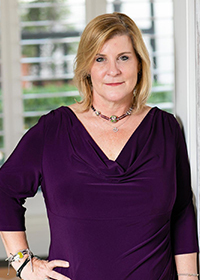 Kimberly Lea serves as the Campus President of Keiser University, Florida's Career University. Kimberly's role is to develop and lead the West Palm Beach campus to ensure the quality delivery of educational services as well as advance strong community connections in Palm Beach County. Kimberly earned her B.S. in Business Education from Shippensburg University, her MBA from Florida Atlantic University, her Ed. S. from Keiser University and will finalize her Ph.D. in Educational Leadership in 2016. In May 2013, Kimberly was honored by her alma mater, Shippensburg University with the Jesse S. Heiges Distinguished Alumnus Award. Kimberly has worked locally in higher education as a business faculty member and administrator. Kimberly joined Keiser University in 2006 as an academic dean and was promoted to campus president in 2011. Kimberly lives in Jupiter and has four children (Kati 19, Ellie 17 Maddie 14, and Ricky 12). Kimberly is active as a Trustee and Board member for the Chamber of the Palm Beaches, Board of Directors for the Women's Chamber Foundation, Trustee and Education and Life Science Committee member for the Northern Palm Beach Chamber of Commerce, Executive Board member for Big Brothers and Big Sisters of Palm Beach and Martin Counties, Board Member of Career Source of Palm Beach County, Board Member of the Economic Council, Board Member for the Education Foundation and YWCA and is a member of the Executive Women of the Palm Beaches. Kimberly also served as the keynote speaker for the Women's Chamber annual scholarship luncheon in 2013. Kimberly volunteers locally with several organizations including Jupiter High School Band and Honor Flights of Southeast Florida.